Weather permitting, the Yankees and Rangers will continue their four-game series this afternoon at Yankee Stadium. First pitch is scheduled for a little after 1pm ET. Here are some links to help you pass the time until the game begins. 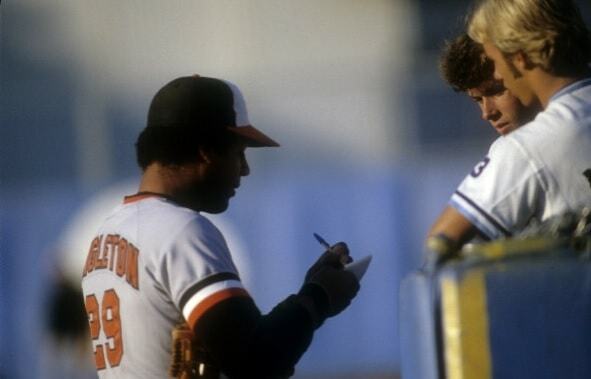 Ken Singleton is reportedly postponing his retirement. According to Randy Miller, Singleton will return to the YES Network next year on a reduced schedule. He’ll work about 24 games rather than his usual 55, with a heavy dose of games in Baltimore and Tampa, where he has homes. Singleton will also do one other road trip plus some games at Yankee Stadium. Nothing is official yet, but Kenny pretty much confirmed he’s returning on this week’s R2C2 podcast. Earlier this year Singleton announced 2018 would be his final season as a broadcaster. It wasn’t speculation. He announced it. Apparently the head honchos at the YES Network put on the full court press and convinced him to come back. Singleton said he wants to spend more time with his family and grandchildren, and the reduced schedule will allow that. Next season will be his 50th (!) in big league baseball. He played 15 years and has spent the last 35 as a broadcaster. Hell of a baseball life. I am very glad Singleton is returning. He’s my favorite broadcaster. Same as last season. The Yankees didn’t change the jerseys at all. Boring! 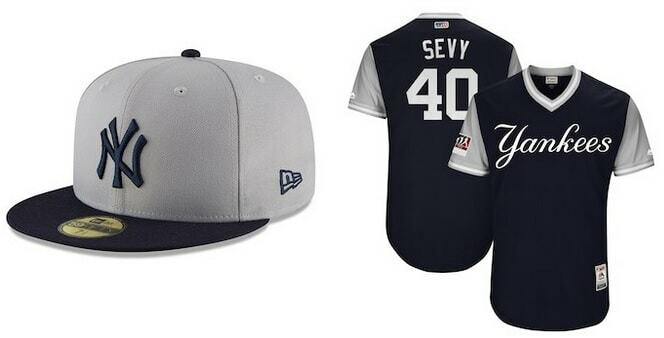 Last year they were at home for Players’ Weekend and those jersey tops looked weird with white pinstriped pants. I reckon they’ll look much better with the road gray pants this year. As for the uniform nicknames, you can see all of them right here. They really should’ve gone with each player’s Didi Gregorius emoji. 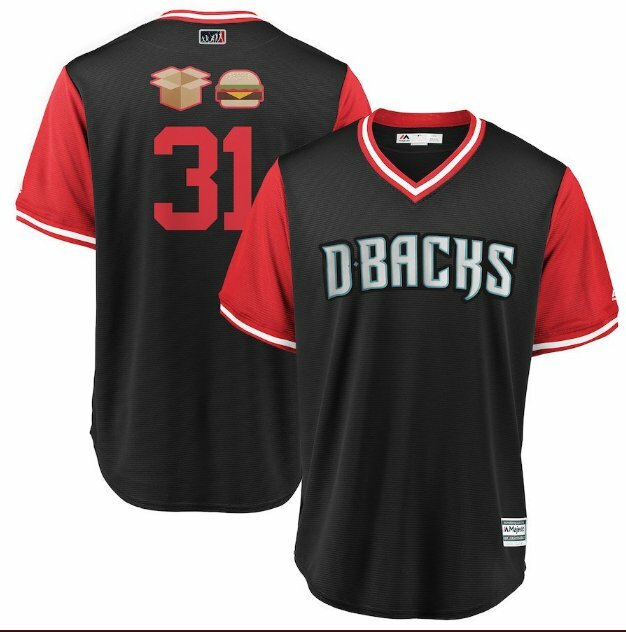 Brad Boxberger will have emojis on his jersey. Yankees should’ve done it. Alas. The Yankees are planning “significant events” both inside and outside Yankee Stadium next season to commemorate the 50th anniversary of the Stonewall Riots, report Andy Martino and George King. No details have been announced yet, though the events will be something that provide more meaningful engagement and interaction with the community than a simple LGBTQ Pride Night at the ballpark. The Stonewall Riots were a watershed moment for gay rights in New York. The Yankees were the last team in baseball to announce plans for an event celebrating gay rights — the Mets have held an annual Pride Night since 2016, for example — which is disappointing, especially since they play in the largest and most diverse city in the world. Better late than never. Earlier today, YES Network announcer Ken Singleton said he is stepping away from broadcasting after the season to spend more time with his family. He’s been calling Yankees games since 1997, back when they were on the MSG Network, and he joined YES full-time when the network launched in 2002. Singleton, who turns 71 in June, was a hell of a ballplayer back in the day. He was born in Manhattan, grew up in Mount Vernon, and went to Hofstra before being drafted third overall by the Mets in 1967. Singleton played for the Mets (1970-71), Expos (1972-74), and Orioles (1975-84) and retired as a career .282/.388/.436 hitter with 246 home runs and more walks (1,263) than strikeouts (1,246). 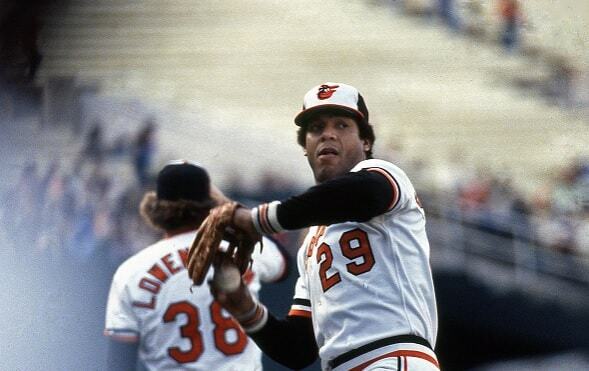 He won a World Series ring with the 1983 O’s and received MVP votes in seven seasons. After retiring as a player, Singleton joined the broadcast booth and called games for the Blue Jays (1985-86) and Expos (1987-96) before covering the Yankees. He’s the only former player in the YES Network’s rotation who didn’t play for the Yankees, which tells you how good he is in the booth. They want him anyway. We interviewed Singleton five years ago about his career, both as a player and broadcaster, so make sure you check that out even though it is a bit dated. Personally, Singleton is my favorite broadcaster in baseball, regardless of team. I love listening to him talk about hitting. He’s smart, he’s funny, and I feel like I learn something every time he is behind the microphone, regardless of whether he’s doing play-by-play or color commentary. I’m bummed Singleton won’t call games beyond this year but I’m happy for him. He’s been at this a long, long time. Seems like the best thing the Yankees can do is send him out with a World Series championship, no? The third and final part of our discussion with YES Network announcer and long-time big leaguer, Ken Singleton, tackles a variety of “state of the Yankees” topics. Here are parts one and two in case you missed them. Matt Warden: Do you feel that the team is heading in a clear direction? I can’t tell if they’re trying to rebuild, trying to contend, or trying to do some weird (and maybe semi-ineffective) blend of both? Where do you see the team going in the next month or so? A year down the road? Are you expecting things to get worse before they get better? Ken Singleton: I think right now they’re just worried about getting through this season and I think the offseason would give you better insight into where they’re heading in the future. But as for now, the important thing is getting Curtis Granderson going. Maybe he can provide a bit more spark to the offense. Same with Soriano and hopefully Jeter once he returns. This is what I think is going to happen with this team this year. I do think when you start to put a better lineup on the field, the team starts to feel better about itself and better about their chances. The Yankees, of all the teams in the division, particularly the contending teams — I’m leaving the Blue Jays out of it, but even they did it – all these teams had a stretch where they really played well. Red Sox have done it. Rays have done it most recently. The Orioles had a very good stretch there. Even the Blue Jays won 11 in a row recently. The Yankees are the only team who haven’t really had one of those stretches yet. MW: You’re not going to count April? The Yanks had a pretty good (albeit surprising) run early on. KS: Yeah they were okay, but I’m just saying the Rays won 21 out of 25. The Yankees were pretty good in April. Even then, they weren’t at full strength. My point is by putting people back in the lineup, it makes the team feel better about itself and better about its chances on a daily basis. I’m looking for one really good run which could hopefully propel them into the playoff contention even though the odds suggest it is unlikely at this point. If it happens, it happens. If it doesn’t, it doesn’t, but the excuse is there. Not to say it’s an excuse people want to hear, but the reality will be that the team wasn’t able to overcome the injuries. That’s it. They couldn’t overcome them. MW: I agree with that. I’m sure the injuries will be a big part of whatever discussions take place pertaining to reconciling the season. The Yankees have experienced a crippling amount of injuries that no team on the planet could easily manage, let alone thrive with. Now, to play devil’s advocate, when the Red Sox were in fourth place around this time last year, they jettisoned some of their big named guys. KS: Yeah they got rid of them. But some of those guys also didn’t want to be there and there was the whole chemistry issue with Bobby Valentine, so I think the situation was a little different. Adrian Gonzalez didn’t want to be in Boston. Crawford didn’t seem like he was flourishing in Boston, and they got rid of all of them in one deal once it felt like they were becoming derisive factors in the clubhouse. Plus the Dodgers were also agreeable to that sort of deal. MW: I want to hear some bold predictions, Ken, about the off season. KS: Offseason? I have no idea. [Laughs] Matt, don’t take offense, but I do my job and I react to what’s going on. I don’t pretend to be able to do other people’s job. I just worry about my own, and for me to predict what Brian Cashman’s going to do, I just don’t know. I don’t know what other GMs are going to do either. I would like to see the team get better. I think we all would. I think we would all like the ’98 Yankees on the field every game but those days are gone. Paul O’Neill isn’t here. David Cone isn’t here. El Duque isn’t here. They have to go with what they have or somehow try and improve the team. Remember, these are the Yankees and they always want to win. I’m sure Brian Cashman will try to make the team better. I just don’t know how he’s going to do it. MW: Sure, and that’s totally fair. You don’t know what the rest of the market will do or what Cashman’s objectives are. Let me rephrase the question. In terms of points of improvement, I see a rotation in flux. There is an obvious hole at third base and question marks surround the catcher – whether it’ll be Cervelli or Stewart, or one of the young guys in the system or whether the team will pursue a big name like Brian McCann. Those are a lot of tough positions to fill in a relatively short time span. Where does Cashman start? KS: You’re right. Pitching’s first. You have Phil Hughes who’ll be a free agent. Andy Pettitte may retire. Sabathia isn’t having the best year. Kuroda may not return. I’ve heard he’s looking to end his career back in Japan. They have some holes to fill. But I don’t know how they’ll do it. The way I look at it, you have to figure out tonight and go day to day for the remainder of this season and worry about the offseason when you get there. It remains to be seen what will happen. I’ve been around baseball long enough to know that if you try to be Nostradamus, it doesn’t work out very well. It just doesn’t. You know, look at all the predictions people make about the divisions at the beginning of the year. Look at the Toronto Blue Jays! Where are they? I kind of liked them at the beginning too. But I was hesitant to pick them because when you put a whole new team together, sometimes the chemistry is just not there. They’ve had issues too. Their pitching isn’t as good as what they thought it’d be. MW: Everyone short changed the Sox too. KS: Yeah, you know I did as well. And I know why I did it. I’ve just never liked the Red Sox. MW: [Laughs] On behalf of our readership, Ken, thank you for that. Okay. Let’s shift direction momentarily. It’ll be interesting to see what happens next year in the outfield. The team will have to figure out how to utilize Ichiro, Wells, Gardner, and Soriano. Plus there’s the pending issue of Granderson and the qualifying offer. The team basically went from a shortage of outfielders to a surplus, though I’d argue none of them are really “complete” players, with the exception of Gardner maybe, in terms of skillset. KS: Yeah, that’s why I say, they seem to be getting through this year and you’ll get a better idea of what happens in the off season. Looking out my window here in San Diego. The weather is beautiful out here. MW: [Laughs] I’m envious Ken. I’m guessing my view here in Connecticut isn’t quite the same. MW: I could see a guy like Granderson passing on the offer. He’s had some fluky injuries and hasn’t played much this season. While he won’t hit for average, he does offer premiere power at a position often lacking it. I can see a team taking a chance on him with a multi-year deal. Hughes though, has been a complete rollercoaster. I could him possibly accepting the QO. Thoughts? KS: Well we saw Nick Swisher not accept it last year. I think players are looking for the big deal at this point in their career. Hughes is 27 years old. Granderson’s a little older. I think both would choose free agency if given the opportunity. MW: Mariano Rivera. This is his last year. Ceremonies are happening all season. He still looks dominant and brutally efficient. How does the team recover from his retirement? Does D-Rob get it done as a closer? At the very least, that has to be a major gap in bullpen depth. I hate to say this, but D-Rob on his best day cannot duplicate the level of comfort and security synonymous with The Sandman. KS: Yep. Mariano is the biggest security blanket in all of sports. He sits out in the bullpen and the other team knows it. If the Yankees have the lead heading into the ninth, you might as well start up the bus and turn on the showers, because you’re getting ready to go home. For his career he’s like 90%, maybe better. Yeah, it’s going to be difficult. It’s not even so much what he’s done, it’s how’s he’s done it. So much class and dignity. He’s a standup guy. The Yankees will miss that too. When he blows a save, he owns up to it. And when he completes a save, he’s very modest and very humble. You never see him rile up opponents with antics on the mound. After picking up a save, Mo never shoots arrows into the sky. MW: The $189M budget…is this happening or not? KS: These are the Yankees. They like to win, and their fans expect it. To get to $189M, it would help if A-Rod were off the books as Showalter said. He was right, but he should worry about the Orioles first and not so much about what the Yankees are doing. They’re trying to get away from this luxury tax because if they do they can start all over. I think that’s what they’ll try and do. If the Yanks can stay under the budget while still adding a guy they’ll do it, but I think $189M is legit. MW: Yikes. Well, let me end this by saying that I really appreciate you talking with me. I know our readership enjoys it. I’m not sure if you’ve checked out the comments section, but you have more than a few fans. KS: Yeah, well I’m really glad to hear they like what I do. I really appreciate the fact that I get to be around a team that’s been so good for so long. I really enjoy what I do, and I get to work with some great people for a tremendous network that puts a lot of money into production. I want to have fun and I want people to enjoy the games because that’s what I’m doing. MW: It shows, Ken. Your efforts have not gone unnoticed! Thank you so much for your time. Folks, be sure to check Ken out on Twitter (@29alltime), and of course, on the YES Network during Yankee games. Last week, we spoke to YES Network broadcaster and former All-Star Ken Singleton about all things Alex Rodriguez, from his looming suspension to his legacy and everything in between. This time we’re going to cover the trade deadline and some moves/non-moves, and in part three tomorrow we’ll tackle some other “state of the Yankees” topics. Matt Warden: One of the big stories we’ve covered extensively here at RAB was the trade deadline. I think the Yankees had an opportunity, a really important opportunity actually, to either raise the white flag and try and move guys like Hiroki Kuroda, Curtis Granderson, Phil Hughes, Joba Chamberlain, or even Robinson Cano with the idea of retooling for the future, or they could have gone the other route and done whatever it took to compete this season. Looking back, it seems the team managed to do very little. Sure, they grabbed Alfonso Soriano, but I wonder if that was too little too late. Do you think they showed the right amount of activity at the deadline or would you have preferred them to do something more dramatic? Ken Singleton: Well, of course everyone would like to see the team improve and Brian Cashman is in the business of improving the Yankees. I’m sure he was on the phone talking to people, but maybe what they were offering was not, in his eyes, good enough. Or, maybe other teams wanted too much [for their guys]. We’ve seen how Joba’s slid down the list in the bullpen as far as importance, but maybe the Yankees felt he’s more important [then his selling price would indicate]. Was Joba more important to another team, and they could have offered more, but they just didn’t? Same with Phil Hughes. 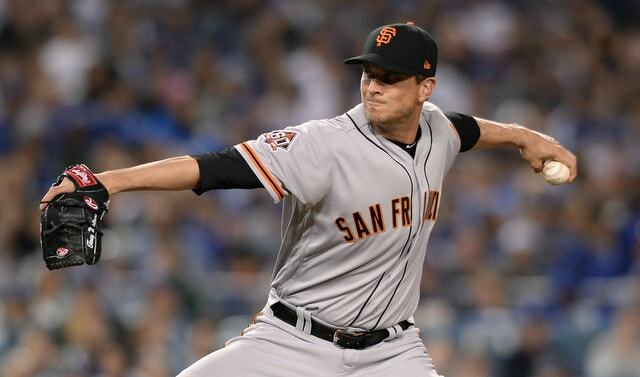 Although he’s going to be a free agent, you still need somebody to pitch today and tomorrow. I’m not one to just unload guys just to unload them. I think you look to make your team better, whether it’s in future prospects or getting decent prospects from a team, and if the prospects from another team aren’t good enough — we weren’t involved in these phone conversations and Brian Cashman was — and if he didn’t think it was good enough, they aren’t good enough. You just go with what you got. I’m sure Cashman was trying. I’m sure other teams were calling about some of his players. I’m sure he inquired about players on other teams, but if things don’t happen, it just doesn’t happen. That’s why when players get injured managers say someone else on the team will have to step up. It’s not like everyone out there is feeling sorry for you. That’s not going to happen, particularly not with the Yankees. MW: The Yankees have been pretty depleted with right-handed power. What did you think about the Alfonso Soriano move? KS: I’m kind of glad they got them. At least he’s a player who hits right handers and has some power. Yankee fans know him. He’s been here before. I think Vernon Wells hasn’t hit a home run since May. They had to do something. If Vernon had been producing like he was earlier in the season, I don’t think Soriano would be here right now but the fact is that Vernon Wells hasn’t provided power for the last several months and they had to do something or risk being shut out every time by left handed pitchers. MW: True. Travis Hafner has been pretty ineffective for a while too which was certainly part of the problem. KS: Yeah, both he and Wells started going downhill around the same time. Wells has been a little more effective than Hafner lately, prior to his injury. Plus Wells can do more things. Hafner’s job is basically just to hit and he hasn’t been doing it. And now he’s on the DL because his shoulder’s bothering him I guess. Neither one has really done much since May. MW: At least with Wells, he’s being utilized more appropriately now. KS: Yeah, he’s not being played not on an everyday basis. They couldn’t do that early in the year because there was no one else, and now Joe Girardi can slot him in against pitchers he’s done well against in the pass. Defensively, he’s fine. He’s made some throws from the outfield that have gotten guys out at the plate. He’s a very good base runner and he hustles. He just hasn’t hit like the Vernon Wells we saw with the Blue Jays. He basically hasn’t been the same guy since leaving Toronto, and that’s unfortunate because he was one of the better players in the league at the time. KS: Matt, let me say this. One thing that may hinder trades is the extra wild card spot. KS: Yeah, I think that kind of slows down the trade market because teams maybe feel “we’re not totally out of it.” “We’re not totally giving up on our players. If we get a couple of guys healthy, we can make a run and make the playoffs” and once you get in, who knows what’s going to happen. MW: Is that naive thinking by teams in some cases though? MW: I’m sure that’s definitely true to some extent, and I’m sure it definitely applied to the Yankees this year. Do you think they should be thinking along these lines though? The Yankees are an older team and when you really weigh their options, even if they somehow reach the playoffs this year, how good of a chance do they have now, and especially going forward? As for the Phillies, is it really worth keeping a guy who’s 36 years old like Michael Young when they could potentially get a solid prospect in return in a seller’s market, rather than risking the likely reality of missing the postseason with another aging veteran? KS: Okay, but if you’re a team like the Phillies, who draw very well, or you’re a team like the Yankees who draw pretty well, and all of a sudden you get rid of all your players, it’s like telling your fans, “don’t show up for the rest of regular season.” That’s it, we’ve given up on this year. That’s not a good thing if you ask me. I think you want to show everyone that you’re still trying and you still believe in everyone you have. I don’t know what the Yankees offered the Philadelphia Phillies. Nobody does, and I just feel things happen or they don’t happen for a reason; and if the trades weren’t made, it’s because they weren’t there. It’s as simple as that. It’s not like they didn’t try hard enough. It’s just that it didn’t work. MW: Fair enough. Speaking of GMs, I know GM Mike Rizzo recently enjoyed a promotion to something of the effect of President, something comparable to a Theo Epstein type of gig. KS: Got an extension too. MW: Yeah, that’s correct. Do you think that’s what’s in store for Brian Cashman once the season concludes? KS: I have no idea what the Yankees have in mind for him. I think his title right now suits him just fine. He’s the General Manager of the Yankees. That title still carries a lot of weight. Now if they want to give him a promotion to something else, I’m sure he’d consider it and he’d probably accept it. But his job right now is, I think, all he can handle at the moment to be honest with you. MW: [Laughs] So this leads me to a sensative topic, I suppose. Do you think there is tension between him an ownership. I feel like in the past year or so, he’s been much more vocal about, “yeah this trade was my idea” or “no, this move was not my preference.” You heard this with Rafael Soriano. You heard it again with Ichiro Suzuki, and most recently with Alfonso Soriano. It’s almost like he’s distancing himself from certain moves. Recently folks heard him say something to the effect of “This was ownership’s doing. Sure it makes the team better, but this wasn’t exactly my call” when asked about the Soriano trade. KS: Well you know, he can voice his own opinion. I mean, the ownership has the final call. They’re the bosses and if he doesn’t like it, I give him credit for saying what’s on his mind. I’m not saying that creates tension; maybe it’s just being honest with everybody. Doesn’t seem to bother Hal Steinbrenner, because Brian Cashman’s still around. MW: So we shouldn’t be reading anything further into this? You know, Earl was right. This is America. You say what you want. You say what’s on your mind. You just better be able to back it up. That’s all. MW: [Laughs] I like that. That’s … pretty frank. KS: Yep. And if you played for Earl, he said what was on his mind. MW: I think that’s a fair point. No one really knows what arrangement Cashman has with ownership regarding what he is or isn’t supposed to publicize (if there’s anything at all). They may or may not have differences of opinion about baseball operations, but no one knows if that’s causing any grief in the day to day baseball administration. KS: Nobody does. You know what. I’ve been married for 22 years and I don’t agree with my wife all the time. KS: [Laughs] We co-exist. You know. That’s the nature of everything. You learn to compromise on certain issues. Friend of River Ave. Blues and YES Network announcer, Ken Singleton, was kind enough to give an hour of his time to discuss some of the current affairs swirling about the Yankees. We discussed everything from the all-consuming Alex Rodriguez saga, the trade deadline, Brian Cashman’s relationship with the front office, to the team’s direction heading forward. If you haven’t read RAB’s first interview with Ken, be sure to check it out here. Matthew Warden: Might as well start with the huge elephant in the room. What are your thoughts on A-Rod, the pending suspension, and particularly, the Player Union’s stance on the matter of PEDs? Ken Singleton: Well, you know, it’s unfortunate what’s happened to Alex Rodriguez but I think you’re dealing with this issue of PEDs — the first time it happened was bad enough and it kind of put a stain on his career. If all these allegations prove to be true it’s certainly going to put an even deeper mark on his career, to the point where the fans say “enough is enough.” You talk about the Player’s Association, and they’re involved with it, but I think you’re getting to the point where they’re saying “enough is enough” too. You heard Michael Weiner, the director, mention that he’s going to take each case on an individual basis, and, if there is enough evidence against a particular player, that the Player’s Association will not back him, at least not to the point that they had in the past when they just stonewalled all kinds of punishments. But now, I think what you’re seeing is that the majority of the players in the game want the game cleaned up. They don’t want it to be stained by anyone taking PEDs. Take your punishment and move on. And for Alex, it seems like his punishment will be more than anyone else’s because some of the other things he’s done regarding the Biogenesis investigation. MW: It is sad. Correct me if I’m wrong, but A-Rod has never failed a drug test. MW: He came out and admitted to having used them during a time when free passes were being handed out. Now, I understand the league being infuriated with him allegedly tampering with their investigation, which has to be what the punishment emphasizes, right? KS: Yeah. And I think it’s because number one, he admitted to using it before and he’s come back and has appeared to have used them again. And number two – and this is why I think his punishment is so much larger than everyone else’s – is because of what you just said. He supposedly interfered with the investigation, and that’s not a good thing for anyone to do. It’s almost at the point where legality has to be involved. I think this is why the book has been thrown at him, and it’s almost as if they want him off the field and that’s it. There’s a lot of money involved and that’s probably part of it, but he’s brought this situation on himself. As I said, it’s sad that he’s had such a great career and if it ends like this, it’s really a shame. The thing about it is if his suspension is so long – you have to remember he’s missed all of this year – and if he misses a large remainder of this season and all of next season, that’ll be two years basically of not playing. He’ll be nearly 40 years old. How many simulated games can he go through and still be able to keep his edge? It’s difficult for anyone coming back from an injury – even after a two week period – to get ramped up again, let alone more than half the season. I just don’t know. I know that he wants to play. MW: Yeah. It’s tough too because he’s always had his fair share of baggage. KS: [Laughs] You’re right. It’s not always PEDs. It’s other situations too. MW: Yeah, I think I can speak for most rational Yankee fans when I say the amount of baggage that he brought off the field, for most of his career, was grossly dwarfed by the amount of quality production he’s provided on it. There have been instances here and there where he drives everyone crazy, sure, but he’s been a dominant player for a long time and really that’s what’s most important. MW: And I feel like in the last few years, perception surrounding Alex has begun to change in this regard. He’s become more of a problem then he’s worth (his abilities don’t justify his actions, perhaps unlike a guy like Ryan Braun who is still potentially an elite Outfielder) and you get the feeling the team is hoping/preparing for that moment when they get to cut their losses at this point. Do you agree? KS: Yeah that might be the case. Everybody is going through the motions as if he’s going to come back and play. Major League Baseball — it’s not the Yankees, it’s MLB — holds the hammer here. If MLB says, “No,” he won’t come back. So the Yankees have to play as if he’ll come back, and play for their team. They’ve got four home runs out of their third basemen this year. KS: They need someone at third base whether it’s A-Rod or anyone else. I mean Kevin Youkilis has been out practically all season – he’s played only 28 games – the Yankees are struggling at a position that teams usually get a lot of production from. You have to play it like he’s coming back but I have a feeling that Major League Baseball and Bud Selig will not allow it to happen. That’s the feeling I get. MW: I think you’re right too, and for exactly that reason. The production the Yankees have gotten out of their third basemen has been abysmal, like the worst in Major League Baseball abysmal. You would think if A-Rod weren’t so stigmatizing, they’d be chomping at the bit to get him back out there if they had any real hope of contending this season. KS: Yep, but unfortunately that’s not the case. MW: Perhaps some of that has to do with that rather bizarre incident with the doctor and the strained quad. KS: It just added to the circus, Matt. It’s almost like he’s trying to make things even more convoluted and it’s hard to do that because it is that way already. [Laughs] I just think a lot of players on the team would like to see this go away whether it means A-Rod comes back and plays or is just gone altogether. They’re getting a lot of distractions and A-Rod hasn’t even been with the team nearly all season long. It’s been a tough enough year as it is with all the injuries, but they’ve still managed to have a chance to make a playoff spot. KS: Yeah it is. It’s just amazing that they’re at this point. Sabathia’s 9-10; he’s giving up over 19 runs in his last 15 innings and is pitching the worst that he’s ever pitched through his time in the Major Leagues. They need to get him going to have any chance. But that seems to be a mild distraction compared to what’s going on with Alex Rodriguez, and CC’s been on the field all season long. This whole thing is uncharted territory, and Bud Selig and Major League Baseball are really trying to make a statement here. Remember, Bud Selig is retiring pretty soon. PEDs came to the forefront in the middle of his watch and I don’t think he wants that to be his legacy. I think he wants his legacy to be, “I did the best I could to clean this up. I went out and got rid of one of the best players ever because of the fact he had been doing PEDs.” I also think this would be like Joe Jackson. Pete Rose, that sort of thing. These are big time players who were suspended for life, and if that happens to A-Rod, he’ll fall into that category. MW: I’m glad you mentioned Bud Selig. Do you think that his legacy will be that of the guy who cleans up the sport, or that of the hypocrite – that is to say the guy who cleaned up the sport after profiting off PEDs during baseball’s revival after the strike? KS: [Laughs] Yeah, I see your point Matt. The point is that these issues all came to the forefront while he was commissioner and a lot of people feel he looked the other way, but now he he’s getting it cleaned up so he can leave with his hands kind of washed. I don’t think they’ll ever be totally washed no matter what he does. That’s part one of our chat with Ken. Next we’ll get into some more “state of the team” issues, so check back for that!